So we decided to get one each of the lunch specials except for myself. Yes, I got 2 because I was greedy and had the "eyes-are-bigger-than-my-waist" phenonmenon. I got both the Sashimi and Tonakatsu meal respectively. 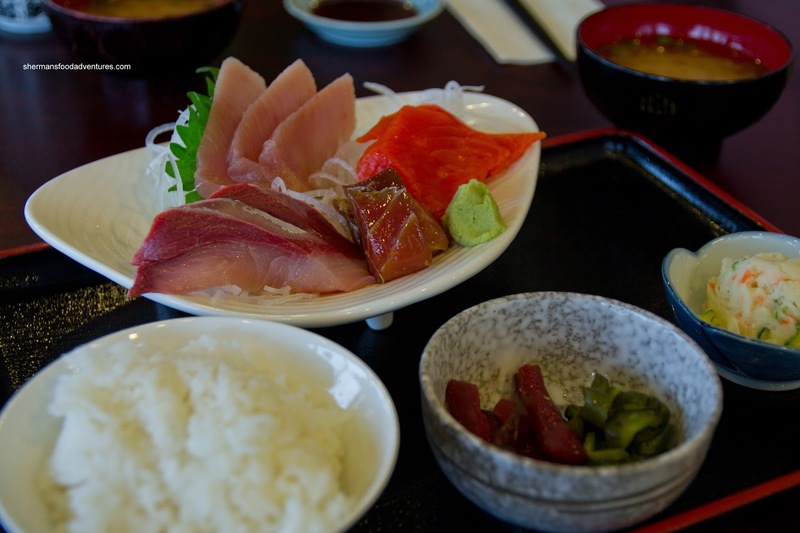 The Sashimi was prepared carefully and nicely plated. It consisted of tuna, salmon, hamachi and red tuna. Each piece had a nice sheen as well as a fresh taste (as fresh as previously frozen fish can be). It was accompanied by rice, pickles, potato salad and miso soup. 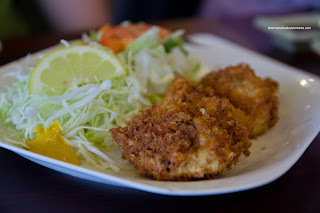 The Tonkatsu was beautifully fried where the exterior was crisp while the pork was relatively moist. Some portions were drier since the meat was less fatty. 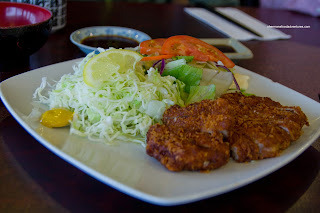 It came with a green salad, cabbage, karashi mustard and tonkatsu sauce. Slick insisting on having the Fried Oysters and for good reason. He generously passed me one and wow, that was a pretty darn good fried oyster. It was large, plump and sweet with a really crispy panko coating. Not the most filling plate of food, but I'd order 2 next time. It also came with green salad, cabbage and karashi mustard. Big D ended up with the Bento Box consisting of Tempura, Nigiri, Tekka Maki, Chicken Teriyaki and Korokke. 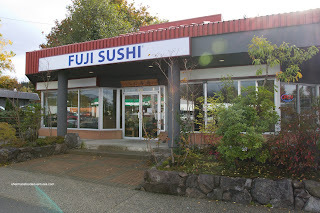 I was able to sample the maki sushi and the rice was nicely prepared and flavoured. 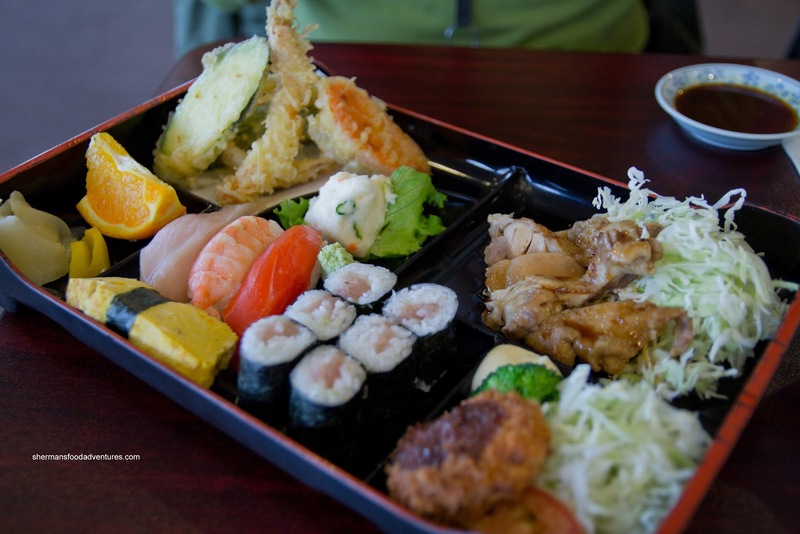 The tempura was light and crispy while the rest of the items were solid. This is what real Japanese food is about. I'm not saying that I don't enjoy other types of Japanese restaurants, but sometimes, the simple stuff done right hits the spot.